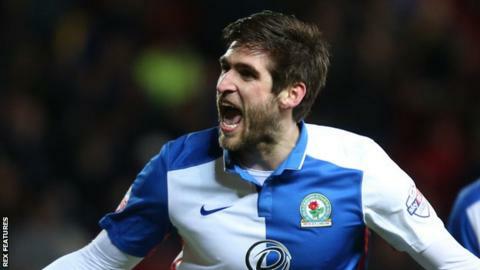 Blackburn boss Paul Lambert says recent additions to the squad are the reason for their improving Championship form. Former Aston Villa and Norwich manager Lambert has made seven signings since his arrival in November. "The new lads have enhanced us and it's a big moment in the way this club is going to go this summer," he said. Rovers have beaten MK Dons and Middlesbrough in their last two games - the first time they have recorded back-to-back victories since December. They took Jordi Gomez and Danny Graham on loan from Sunderland, Elliott Bennett from Norwich, Tony Watt from Charlton and Matt Grimes from Swansea, while Simeon Jackson and Elliott Ward joined on permanent deals. "Jordi is different class and Tony and Elliott Bennett have been excellent," Lambert told BBC Radio Lancashire. "Danny's an old fashioned number nine which we needed to get us up the pitch. He's made a hell of a difference to this club. Matt has got a wonderful left foot, he's only 20 and he's got a big future in the game." After defeating promotion-chasing Middlesbrough 2-1 at Ewood Park , Lambert said Boro's high spending on transfers gave them added pressure to achieve promotion to the Premier League. "The problem is the expenses level when you spend a lot of money and you stutter somewhere. They've had a disappointment not doing it [losing the Championship Play-off Final against Norwich] last year so that will be on their mind again," he continued. "You spend that amount of money, you expect to be up there and I know exactly what it's like."